The Murray Mallee Community Passenger Network is supported by an excellent group of volunteer drivers. Our volunteer drivers choose to give their own time to support the transport needs of rural folk and provide invaluable service to keep our rural communities moving. We want to keep and maintain this invaluable transport service to our rural communities. 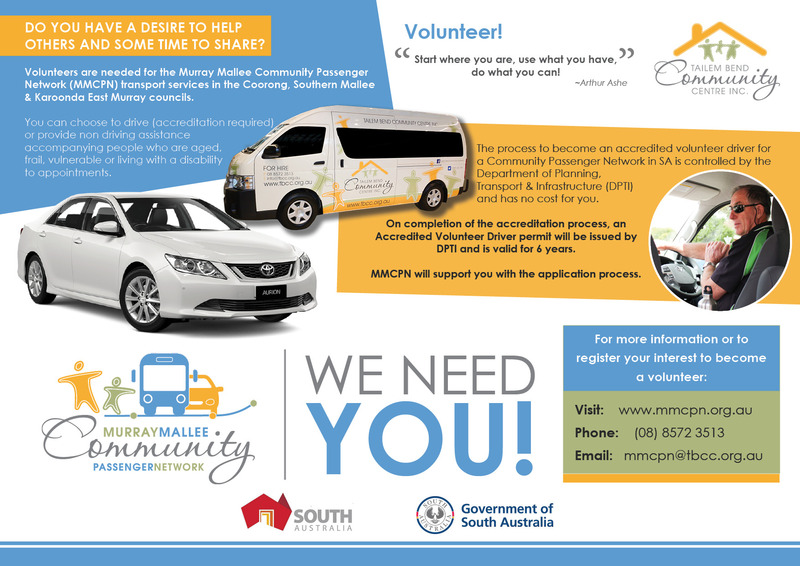 We welcome your expression of interest to join the MMCPN team as a volunteer driver.